You will gain familiarity with the extensive changes that were incorporated in the new Companies Act 2014, and start with an introduction to company law and all the complexities surrounding setting up new businesses. You then progress through the course by learning about the Companies Registration Office (CRO), memorandum and articles of association, members meetings (AGMs and EGMs) and the different types of resolutions. You will also learn about the new constitutions for companies including a Private Company limited by shares (LTD) and a Designated Activity Company (DAC). The course includes many practical exercises that are very similar to the sort of work you would undertake in many Company Law departments. Finally, youll complete this course having learned about notices of change, various specialised legal forms, client communications, annual returns and stock transfer forms. There is also a very useful reference section that includes guidance on Examinership, Receivership and Liquidation procedures. Pitman Training offer an excellent range of practical legal secretarial courses including Wills and Probate, Criminal and Family Law, Civil Litigation and Conveyancing. If youre seeking a top-notch legal secretary career, you should also consider our comprehensive Legal Secretary Diploma or Legal Secretary Award, as a more extensive knowledge can introduce you to a rewarding legal secretarial career. 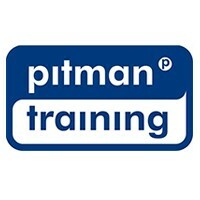 Pitman Training certification is the industry standard for all who wish to work in any office environment, and law firms throughout Ireland recognise this. The course is designed for flexible learning – so you can fit it around your life and progress at your own pace. The great benefit is that, if the need arises, our course advisors will always be on hand to provide expert help whenever you need it. As well as gaining a Pitman Training certificate, you’ll also be able to keep your workbook as a handy reference guide.